Usually the word contagious makes us crawl in our skin a little. When we hear contagious we often think of being infected by something that we don’t want. 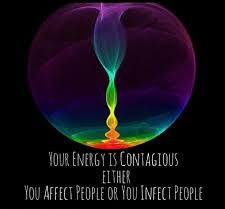 But being contagious isn’t always a bad thing..as a matter of fact sometimes it is exactly the opposite. Each and every one of us has a tremendous opportunity to be contagious and I mean in a great way! Our attitude can be contagious, our energy can be contagious, our ideas can be contagious. When someone is contagious it is hard not to be infected by what they are spreading. You know that person who can put a smile on your face even when you are in a bad mood, who makes you feel inspired or who motivates you with their energy to do something great. Well I want you to look in the mirror because YOU are that person!!! We all have the ability to be contagious. Sometimes we forget just what that means and what a difference that we can make. I want to share a little story of contagiousness that started right here at FitHouse. A little over a month ago I received this email from one of our dear members. It meant so much to me that I asked her if I could share it. “You have inspired me in many different ways to make changes to my life and you continue to do so. This past semester, I taught a course called FIT4LIFE. Throughout the course, we studied about nutrition, fitness, and body image. During every class, we tried various types of exercise. The students loved it! As a final project, the students had to create a webpage, as if they were an owner of a fitness or nutrition business, putting together some of the things they learned. I wanted to share them with you because you inspired me to think outside the box and use my course to get kids moving and thinking about nutrition”. WOW!!! The power of ONE person!!! I believe that one of the biggest injustices that we can do to our future generations is not educate them on the control that they have on their health with nutrition, exercise and lifestyle. Building healthy thoughts, habits and lifestyles at a young age makes maintaining health so much easier. 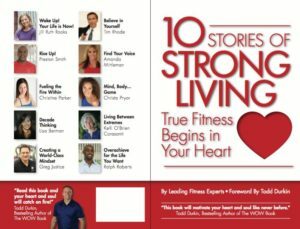 A great health and fitness educator Peter Twist said “What you keep inside today stays inside forever” This is a reminder to share our ideas, our thoughts and our attitudes with those around us. Don’t keep what can make a difference inside. BE CONTAGIOUS!!! I thank you from the bottom of my heart for sharing this because to me THIS is what it is about. What we do inside FitHouse is awesome but when we can take that outside of those four walls and use it to change lives beyond our own and set a spark in future generations that is making a difference!! !